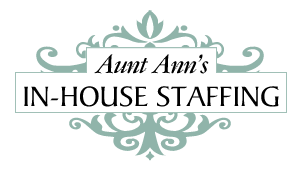 This multi-staffed household seeks a calm, proactive nanny to care full-time for a 5-month old who brings a sense of calm to the home. This unique candidate will enjoy introducing everything from the very basic ABC's to worldly perspectives (think nature, environmentalism and globalization!). Someone who is engaging, fun, and comes to work with their carpet bag full of ideas will excel in this position. Their ideal candidate is organized and enjoys taking on various tasks such as building a network of nannies and parents for play groups, music classes, swim, etc., cooking healthy meals, replenishing baby supplies, cleaning up the nursery and so on. This household upholds a team-player mentality and it is important for them to have a nanny who can take initiative with a pitch-in attitude. This position is a full-time schedule that will rotate with the family's second nanny (2 days on, 2 days off, 5 days on, 5 days off, etc.). The hours are typically 9 a.m. to 6 p.m., however they need someone with the flexibility to come in earlier or later if needed and are happy to work together to determine hours.